At a beautiful Christmas party, we were grouped to perform skits on overcoming challenges. The sweet motivation to win? Ice-cream for supper! Yum Yum Drool Drool..
My table of new found friends brainstormed and scripted the skit is about 15 min. It brought back memories of countless skits my Junior College classmates and I came up with during our General Paper tutorial classes. Those happy days! I felt like a young, excited and playful student again! My team named our skit Ah Beng Love Story – a short predictable drama on boy meet girl, boy "bang wall", boy cry God for help, angel teach boy, boy win girl's heart and we sang an upbeat love song as finale. I was given the role of angel to guide the cluelessly crude "Ah Beng" to woo a demure classy girl. What's unexpected was – I won the Best Actress award!!! I am abashed for winning as I'm being myself, dishing out relationship tips which I have been always doing. This is not acting. Still, I thanked God for the roars of laughter and shared the trophy strawberry cheesecake ice-cream with everyone in the party. Connection is about a mutual feeling of affinity, trust, security and comfort. Have a complimenting rhythm when communicating with her so that she feels safe and easy to talk to you. Thank her effort that she had made to dress up for the date and spent time with you rather than with others. Simple acts of appreciative gestures like these convey your heart. These score more than an expensive handbag or caviar. Whether it's bottle of herbal tea to ease her cough or a pair of dazzling earrings to match her fashion style, give gifts to show thoughtfulness and admiration for her. When she needs a listening ear, encouragement and support, be there for her. It will show that you are mature, caring and committed life-long partner. 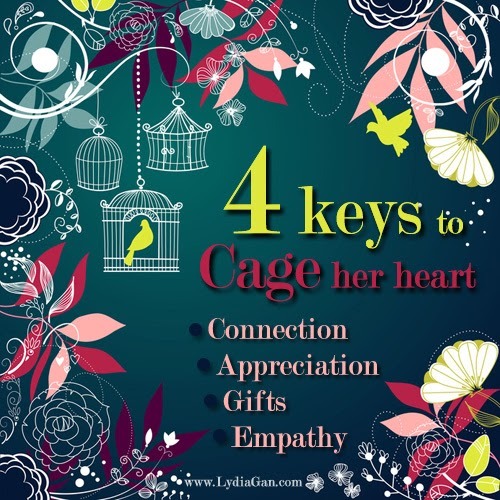 With these 4 keys in mind, you guys will be able to capture the heart of your desire. May these keys illuminates your path in the search of love. Have a wonderful Christmas filled with joy! Hope you have found your fulfilling relationship! The screws on my mum's wheelchair were rusty and loose. We wanted to buy her a new wheelchair and wondering how to dispose the old one when my resourceful sister told me about this organization. Mobility Aids Services & Training Centre at Tampines is a charity organization that collects used wheel chairs, commodes, walking aids or hospital beds. They even offer to collect these equipments from your home (within Singapore). 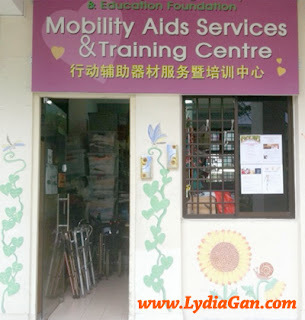 Mobility Aids Services & Training Centre will repair and refurbish the donated mobility aids/ hospital beds so that it is working well before they rent it out. In our aging society, organization like these serves 2 important purposes of defraying the cost of living aids for the needies and recycling to protect our earth's resources. We are for recycling. We gladly gave Mobility Aids Services & Training Centre Mum's old wheel chair so that they could revitalize it to be usable again. 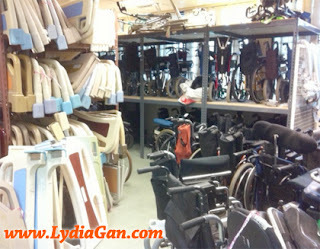 They have a huge collection of living aids, some of them are relatively new! We decided to rent one from them instead of spending a few hundred dollars on a new one. 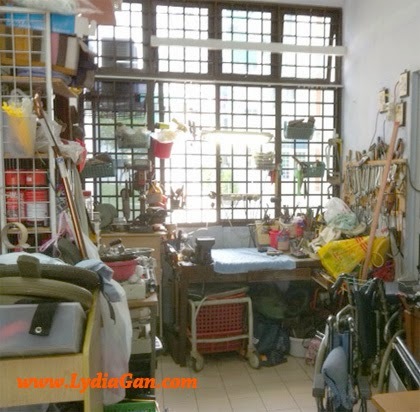 The fee for renting a wheelchair is S$80- S$100. There is no time limit to the rental of their equipments. Excellent for folks who are terminally ill or immobile. 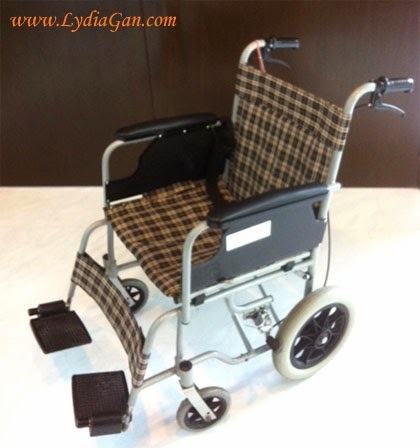 Mum tried on a few wheel chairs and selected this one which suits her height and lifestyle. Thank God for organizations like these, they have to receive donations to support their operations. On this season of giving, let's donate to them (via their website) or share this post to create awareness about their services so that more can be blessed.